Dubai: Wealthy Bangladeshi expatriates have launched two banks out of the three permitted in Bangladesh so far – to tap the growing wealth of more than 8 million non-resident Bangladeshis (NRBs) living outside their country. Of the three permitted by Bangladesh Bank, the country’s central bank, two have already started commercial operation. NRB Commercial Bank was launched on April 1, while NRB Bank opened commercial operations on May 28 this year. A third lender – also being sponsored by Bangladeshi expatriates – is currently in the licensing process. All the banks are expected to start retail, corporate, small and medium enterprises banking as well as wealth management services. Each of the banks is being set up with 4 billion Bangladeshi taka (Dh190 million) paid-up capital and 10 billion taka authorised capital — all in foreign currency remitted by sponsor-directors. 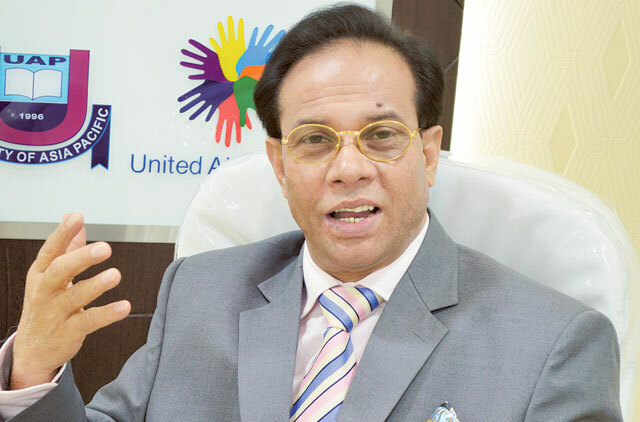 “Although the shareholders of these banks are a handful of expatriates, we want to spread the benefits of these banks to the rest of the NRB community spread across the world with the right banking products, service and investment facilities,” Mahtabur Rahman, a Director of NRB Bank and Chairman of Al Haramain Group of Companies, told Gulf News. More than eight million NRBs remitted $12.84 billion (Dh47.1 billion) into the Bangladeshi economy in the last fiscal year ending June 30, 2012, while the amount has already crossed $12.31 billion during the first ten months of the current year. This could cross $14.5 billion by the close of the year later this month. The UAE is host to 800,000 NRBs, mostly workers, including 10,000 businessmen and a larger number of professionals, who collectively remitted $2.4 billion (Dh8.8 billion) last year. However, this is a fraction of the actual remittance flows to the South Asian country. A large chunk is channelled through non-banking hawala/hundi operators, depriving the country of the valuable foreign currency needed to meet the balance of payments. The move by Bangladesh government to allow NRBs to launch three banks, in addition to six lenders approved last year, reflects the growing importance of NRBs in the economy and their strong political clout with the establishment. “We have sought the permission of Bangladesh Bank to allow us to float an NRB Bond – in foreign currency, as well as allow us to extend online banking facilities to Bangladesh expatriates – so that they could invest in our economy through our banking services,” Rahman said. If this is permitted, he said, hundreds of thousands of NRBs will be able to immediately open online bank accounts and start depositing money in foreign currency, remitting money and make online payments for housing loan instalments and invest in stock markets. “This will ensure a steady supply of foreign currency in the domestic market and reduce pressure on Bangladeshi taka, increase foreign investment and reduce the hawala/hundi or underground remittance business,” Rahman, who is also the President of Bangladesh Business Council in Dubai, said. Rahman’s family members are shareholders in three banks. He has invested 400 million taka in NRB Bank while Waliur Rahman, one of his younger brothers, has invested a further 400 million taka in NRB Commercial Bank. His son, Ebadur Rahman is a Board Member of Al Arafah Islamic Bank in Bangladesh. NRB Bank has been permitted to open five branches in the country, while Rahman wants to expand the bank internationally with representative offices in London, Dubai, New York and a number of other cities with higher concentration of Bangladeshi expatriates. The development of these banks might fulfil the aspirations of certain wealthy individuals and help expand their clout within the country. However, how these institutions help the NRB community – is a big question and will be seen – in the coming years. However, the NRB community would not benefit from these lenders if services are not extended to them, expatriates feel. NRB Bank is also considering extending the shareholder base among expatriates with a locked-in deposits for three years which could be turned into shares when the bank goes public after three years. “I have put up a proposal at the Board for allowing NRBs to lock-in any amount in foreign currency for three years – against which they will receive regular interests and after three years they could procure bank shares at face value when the bank opts for an initial public offering [IPO],” Rahman says. “This way we could expand the shareholder base of the bank and share our success with a higher number of NRBs while, in the process, we ensure high foreign liquidity injection into the bank that will help it to expand fast. “What’s the point of having a bank by a few NRBs when the larger expatriate community remains outside its service benefits? I want more and more fellow Bangladeshis to benefit from these banks,” he says. Bangladesh, a $120 billion economy, has 56 banks and more than 35 non-banking financial institutions to serve a population of 150 million people – the majority of whom still remain unbanked. The government wants the new banks to penetrate deeper into the rural areas to boost agriculture and agro-based industries — the backbone of the country’s economy. How the expatriate-led lenders fulfil the government’s vision will also be tested in the coming years.